Distilled in 1998 at Tobermory distillery and matured in refill sherry casks. This is the peated expression from Tobermory on the Isle of Mull. This has to be one of the best value peated whiskies around. We were surprised how much this remi..
Quite a different Tobermory to the standard 10 year old. Like most whiskies from the distillery t..
Tobermory is finally coming of age and this 46.3% expression proves that the distillery is making gr..
A Connoisseurs Choice bottling of Ledaig from Gordon and Macphail. 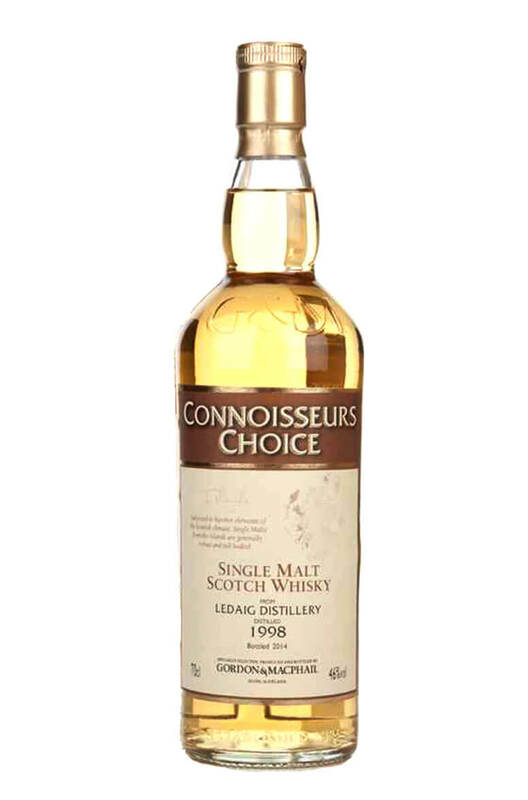 Ledaig is Tobermory distillery's ..
A fine expression of Ledaig, Tobermory distillery's peated expression of single malt. This is dr..
A fantastic expression of Tobermory distillery's peated malt Ledaig. This has been aged for 18 y.. The Ledaig 1996 was finished in Oloroso Sherry casks and bottled in 2015. Produced at the Tobermory ..